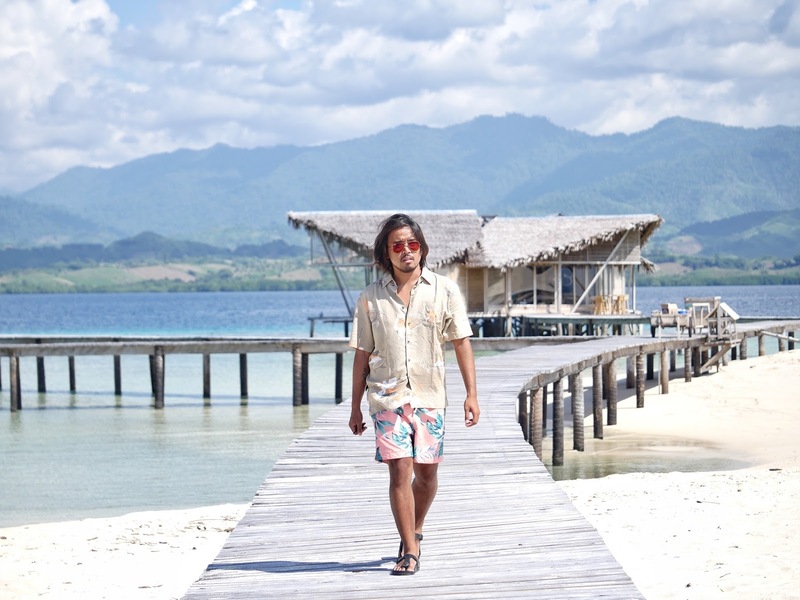 Cerita Febrian: Short get away to Pulo Cinta Eco Resort! Short get away to Pulo Cinta Eco Resort! Pulo Cinta (Love Island) is now widely discussed amongst national Indonesian travelers. I’ve been super curious about this heart-shaped resort ever since it was opened less than one year ago. It’s about 2 hours drive from the city center of Gorontalo and a little ways by boat to reach this eco-friendly resort. I was finally able to go to Pulo Cinta Eco Resort with a trip arranged by @budgettour.id. I can’t begin to tell you how excited I was for this trip. To go somewhere you’ve wanted to go for ages, man, priceless. If you want to follow my footsteps to Pulo Cinta (I’m sure you do, don’t lie to me!) you can check the @budgettour.id website here. You can take an airplane from Jakarta straight to Gorontalo (they usually transit in Makassar) and once you’re in Gorontalo, you should probably stay the night in the city so you could visit the Olele National Marine Park (Taman Nasional Laut Olele) or try your luck at finding a whale shark near the city center. Unfortunately when I arrived here, it just finished raining so the whale sharks didn’t want to come out to play. Now, after that, it’s a 2-hours road trip, then 10-15 minutes boat ride to the island! We have arrived at Pulo Cinta Eco Resort! From a bird’s-eye view, the shape of the cottages line up in the form of a heart (albeit a slightly slanted one, they say it’s because of the constant displacement of sand), I was delighted to see the wooden docks and the staff who carried our luggage to our rooms. When you get to the room, you’ll be in direct view of the open sea. Wow, this is absolutely relaxing, the bed is really comfortable, the bathroom is clean and most importantly, it’s all environmentally friendly. Electricity and lights are powered by solar panels so yes… you can’t get more environmentally friendly than that! In the afternoon, after a few hours of lounging in the room’s balcony overlooking the sea, the hotel staff invited us for snorkeling in the front of the resort. They took us with a small boat to the snorkeling spot and I have to say, you guys, this place is incredibly beautiful. Seriously, Gorontalo and everywhere near it, I think they have the best sea ever with high visibility, crystal clear water, colourful fish and coral that are still conserved and alive, such a joy to see them. Oh yeah, once, the hotel staff told me, they had a whale or whale shark pass by the resort. So cool, huh? I wish I could stay here forever but yeah, that’s not gonna happen haha. The sunset looked exceptionally pretty that late afternoon, it was near Room 3 and 4. Request one of these rooms when you come here, I think they are the best rooms to view the sunset. There’s a swing nearby, just like in Gili Trawangan and the white sand. 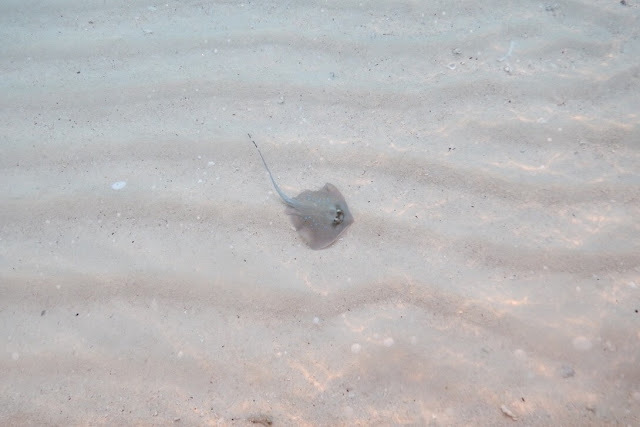 Oh my goodness, perfect for lazing around (but you gotta be careful, sometimes there might be small stingrays here). I really couldn't ask for more; breakfast, lunch and dinner are prepared and you can request for in-room dining, such a perfect place for a honeymoon. However, if it’s for a family holiday, you should still consider coming to Pulo Cinta as it’s not only amazing and environmentally friendly but also because it’s private and a unique place to experience. So if you want to come here, don’t forget to check the @budgettour.id website here. I’m honestly considering coming back again, ugh, so tempting… but for now, I have to say farewell, until the next story.